On August 7, 2010, the 234 meter long, 38485 dwt containership MSC Chitra departed from Jawaharlal Nehru Port loaded with 1,219 containers on board. The 191 meter long, 45798 dwt bulk carrier Khalijia III was proceeding from a nearby anchorage heading towards Mumbai harbour to berth. The two vessels approach each other 5 miles offshore. The MSC Chitra was in the outbound in the main navigation channel. The Khalija had crossed the channel 1.7 miles ahead of the MSC Chitra and turned to port to join the channel. Instead of following the rules of navigation, the Khalija III contined to turn to port when the Khalija III bow struck into the midships between the No. 2 and No. 3 cargo holds of the MSC Chitra. 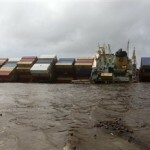 The MSC Chitra hull was ripped open from the collision and massive flooding caused the boxship to list sharply. 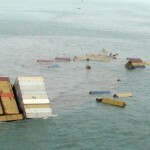 The list continue to worsen until it passing 45 degrees allowing over 200 containers to fall into the sea. 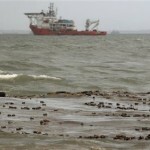 The collision also pierced the vessel’s fuel tanks allowing some 800 tons of fuel oil to be released. The MSC Chitra’s crew were able to keep the vessel under control long enough to intentionally ground it off Prong Reef Lighthouse. 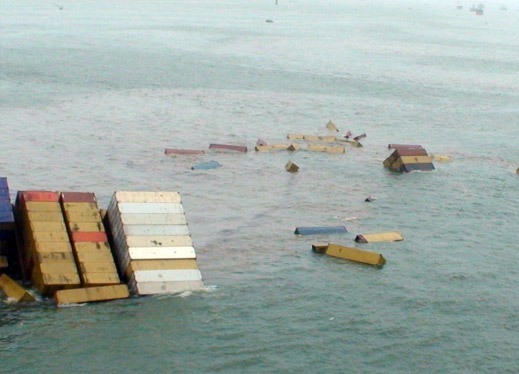 The crew were later rescued by the nearby tug Vamsee. 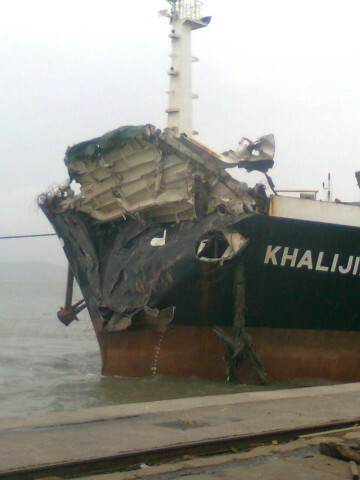 The Khalijia III sustained structural damage after the collision. With its bow crushed, it developed cracks along its hull. 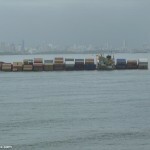 The vessel was still able to proceed and continued into port. The MSC Chitra, built in 1980, was built before double-hull fuel tanks were required for containerships. 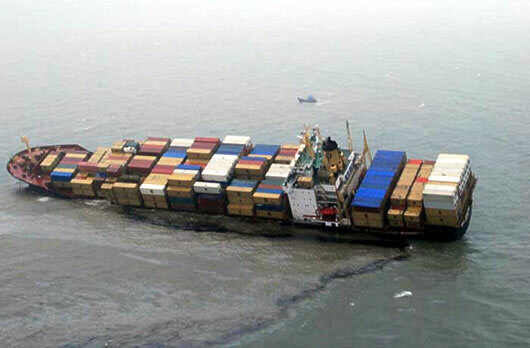 Salvage operations for the MSC Chitra proved to be difficult as the boxship had continued to list to 75 degrees onto its side. 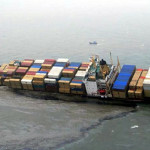 Salvage teams were able to pump out the fuel off the boxship to prevent any further pollution being released, but the vessel had various containers holding various toxic and hazardous chemicals. Many containers were recovered and removed off the vessel, but the damage to the MSC Chitra made it impossible to save it. 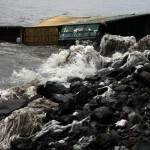 An effort was made to sell the vessel to the ship breakers, but the MSC Chitra still had 500 containers of chemicals on board. The potential danger to the workers who would shred the vessel was too high resulting that no one wanted to buy the boxship for scrap. Salvage teams were able to patch the MSC Chitra and tow it out into deep waters some 350 miles offshore in international waters. The ill-fated Khalija III was taken under possession of the Mumbai port authorities and was later scrapped. 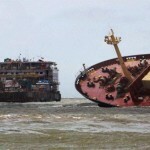 The vessel had owed money to a salvage company for a prior grounding on July 18 before the collision with MSC Chitra. 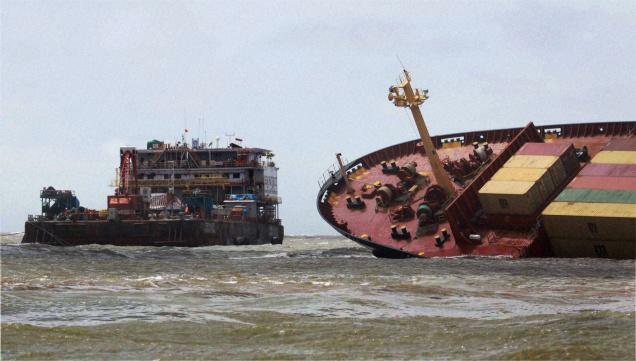 Indian courts ordered the damaged vessel to be sold for scrap. 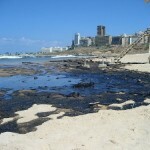 During scrapping operations, the engine of the vessel caught fire. Local fire brigades took three hours to douse the flames.